Natural Grass AirDrain Agronomic Drainage Field Play Ability Update! 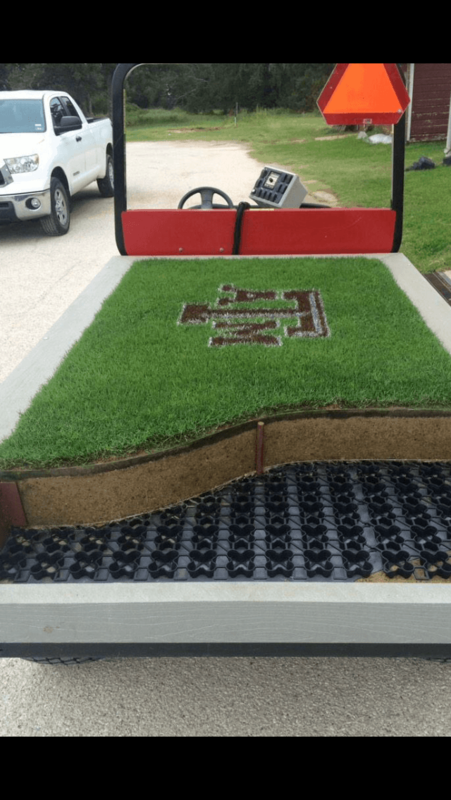 Natural Grass AirDrain Agronomic Drainage Field Play Ability Update from Texas A&M Athletic Field Manager, who has been there since 2002 when the first field was installed! It all depends on the type of grass and the location of the field. Obviously if the field is built with quality construction it would then depend on how well the field is managed and the budget that the facility has. As you know at Texas A&M our soccer field is close to 14 years old. It was a quality constructed field, and the specs for the field were well designed. Our field is our game and practice field and is used year round. Our main season is from August to December. We have a spring season from March to May with high school games before and during that time. We have about a month off and then run camps on the field most of the summer with a total of 4 weeks off spread throughout the summer. We have never had to re sod any areas because of wear except for a few areas where the officials run that are in a high shade area due to the roof on the grandstand. We have been very happy with our Airfield fields and have a total of 4 fields at our athletic facilities. I know you’re busy. I hope all is well! We are trying to help promote natural grass fields, and we keep running into the question or what type of play time can you expect from an AirDrain field ? If can spare a minute, a couple of sentence thought would be helpful. As no one knows better than you !